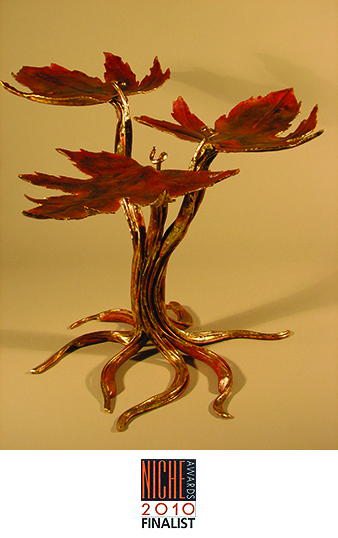 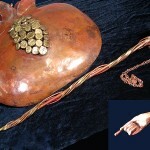 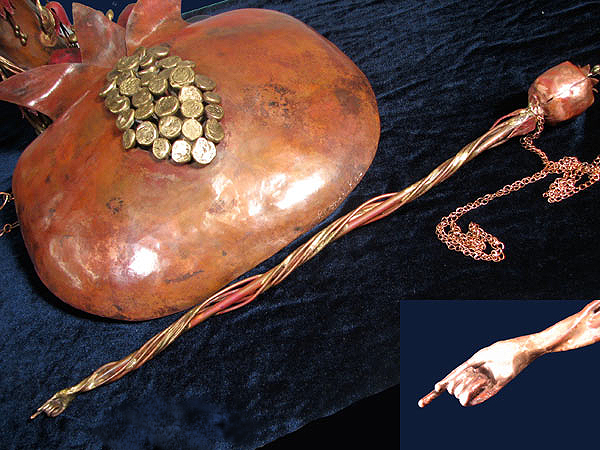 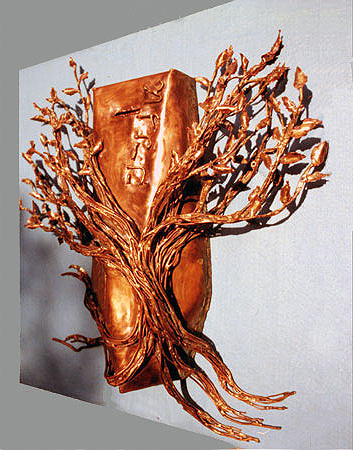 I have created commissions from welded copper and bronze for synagogues across the country, California to Florida and Massachusetts. 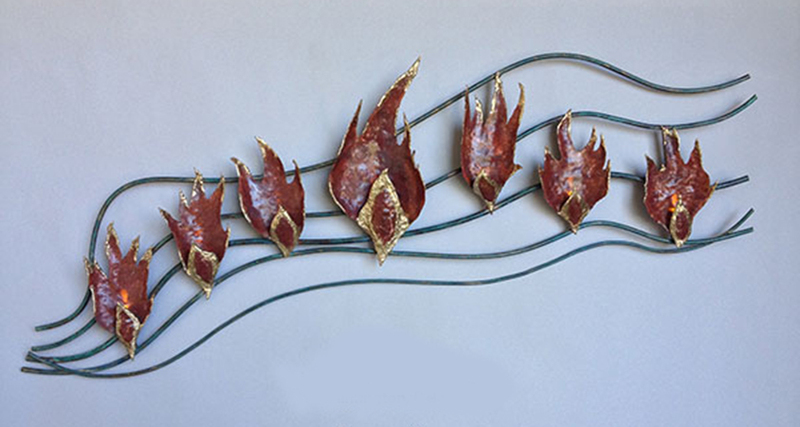 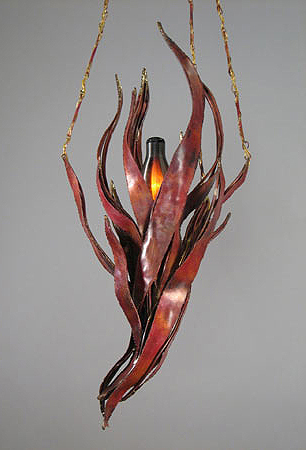 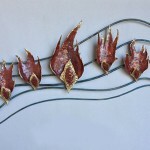 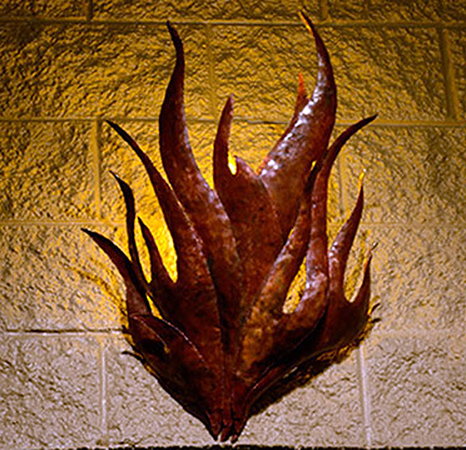 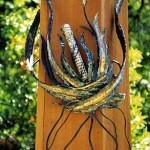 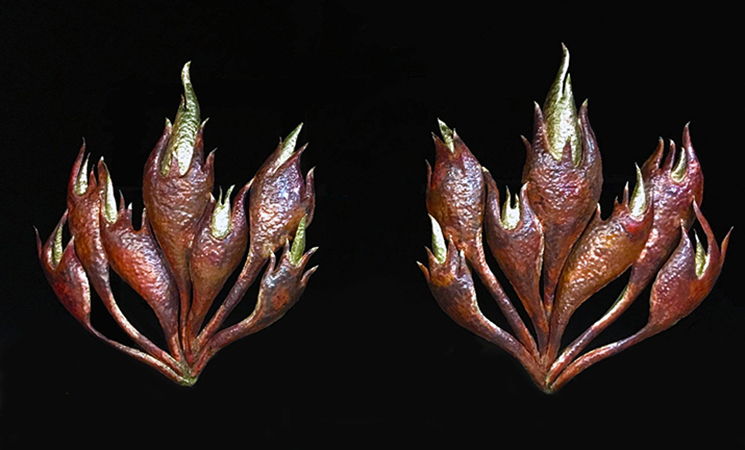 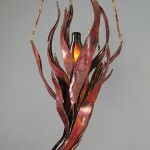 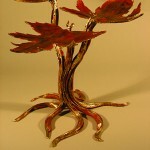 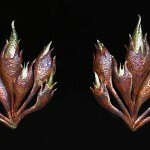 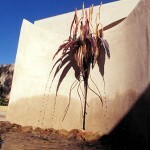 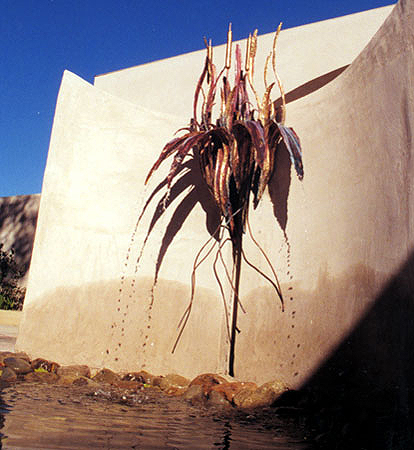 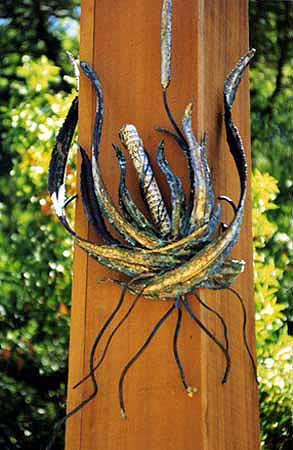 Custom made metal sculptures for wall fountains. 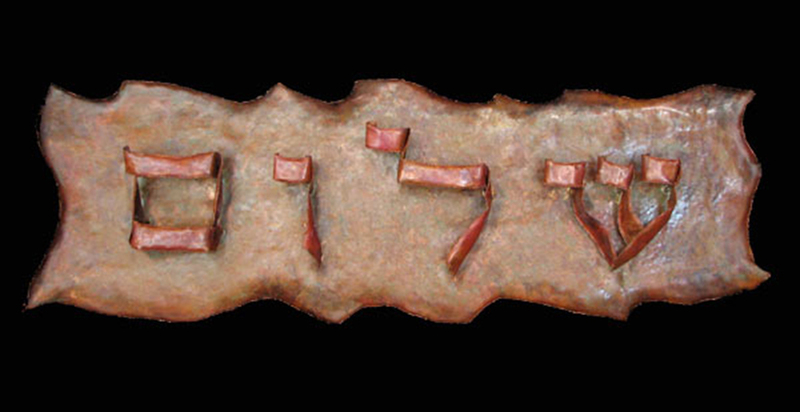 I have hammer copper to form Hebrew letters that have been placed above the Bimah stretching out over 36’ and on the Ark at synagogues across the country. 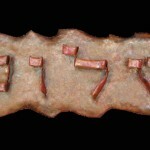 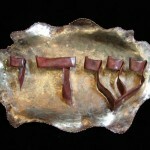 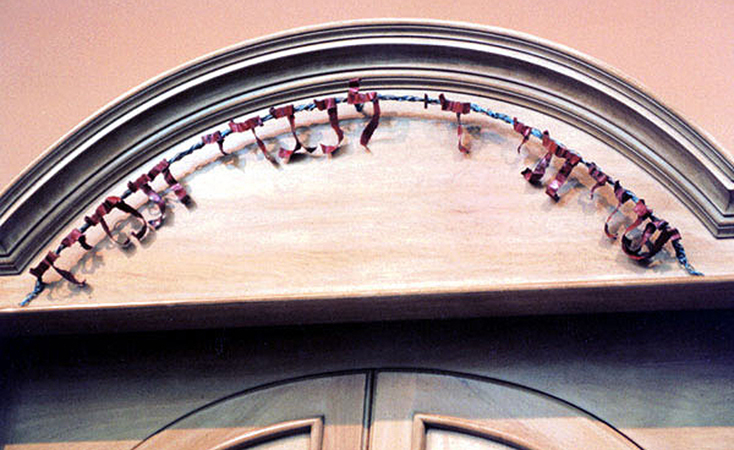 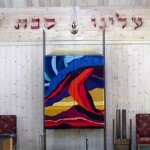 I have created large artisan mezuzahs (mazuzot) for the gates and doorways of Jewish institutions. 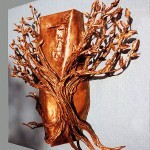 I have custom made large Tzedakah boxes that was mounted on the wall of synagogue. 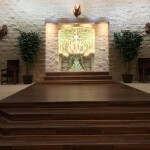 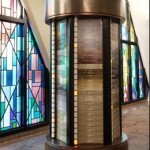 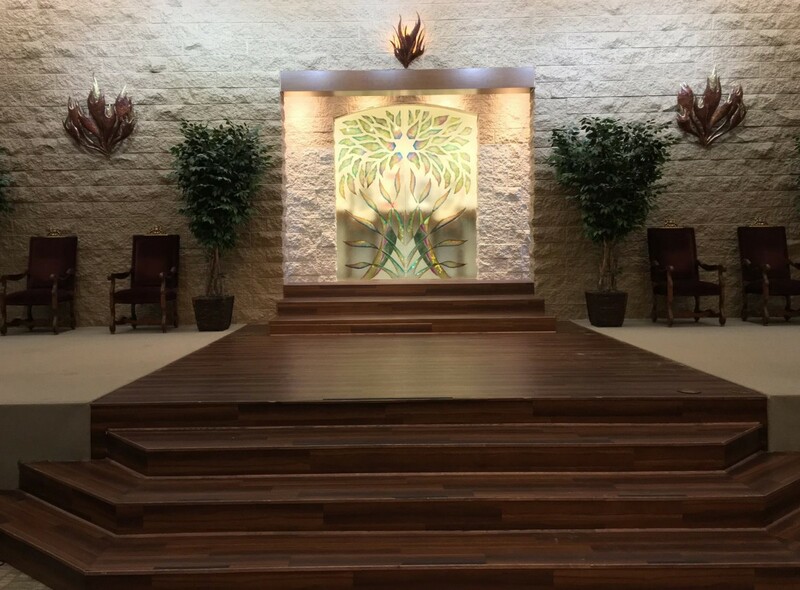 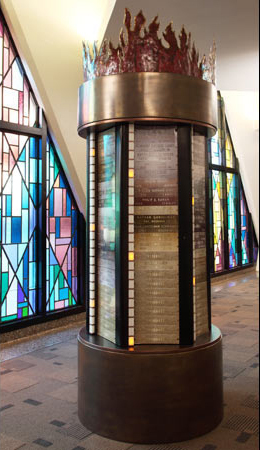 My Ner Tamids (eternal light) graces a synagogue in Florida and California. 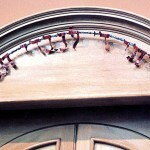 The beautiful glass ark doors you see were created by my husband Alisha Volotzky a glass artist. 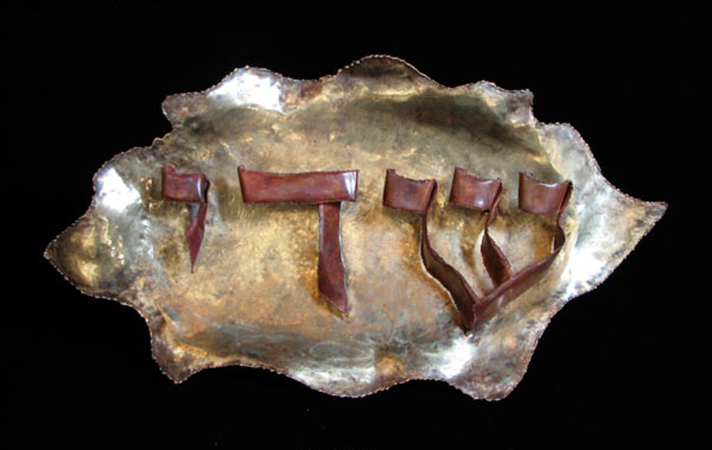 My Tu’Beshvat Seder Plate was not only a NICHE Award finalist, but it was also published with some of my other work in 500 Judaica, Lark Books, Sterling Publishing Co., Inc., New York, NY. 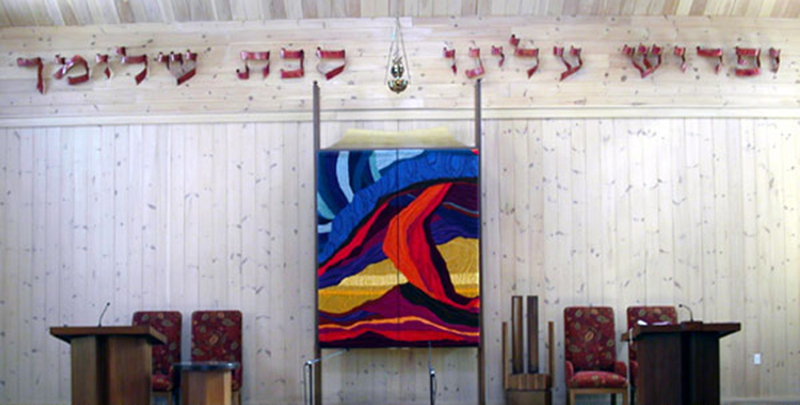 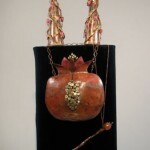 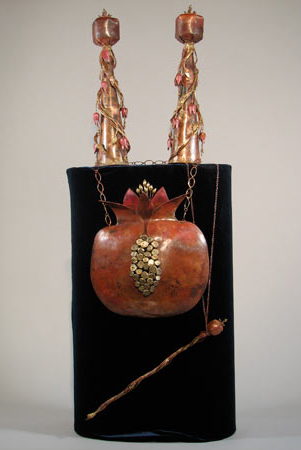 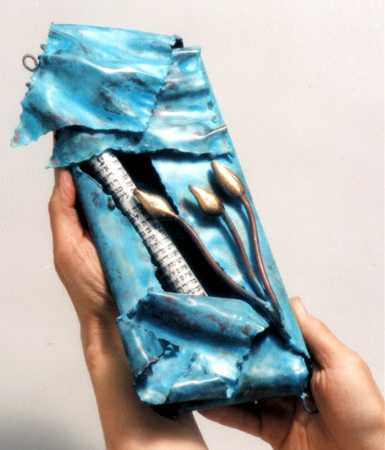 If your Jewish community or institutions is in need of artistic ritual objects and handmade Judiac Synagogue art, please email or contact me at 30516 Mulholland Hwy, Cornell CA 91301, 818-706-2373.